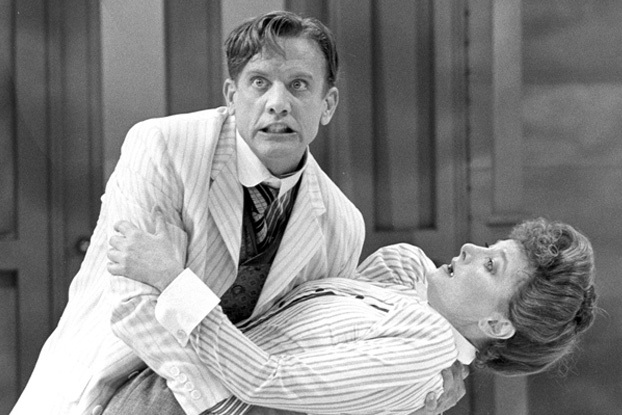 What are your memories of your first production at STC (Jonah Jonesin 1986)? Jonah Joneswas a huge opportunity for me. 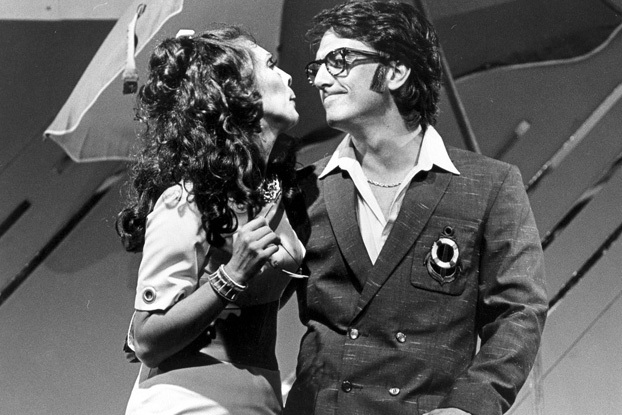 To play the title role in a brand new Australian musical at the age of 24 was a huge responsibility, especially as the character went from late teens to late forties (and through three wives!) 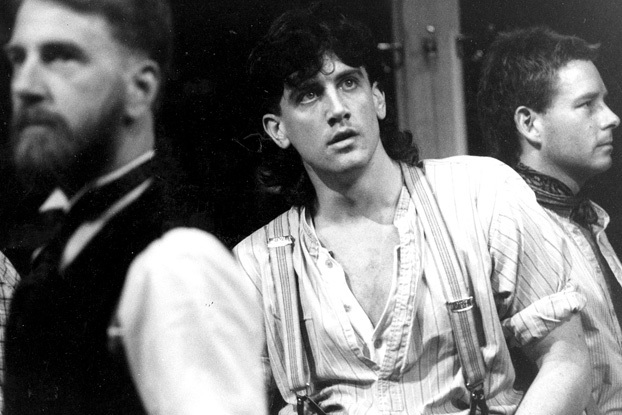 I had played the smaller role of Waxy in the workshop the year before and so it was pretty thrilling to step up to the lead role when the show was given its full production. It was a very exciting time to be at STC and particularly at The Wharf - I think we were one of the first productions in the new theatre and I remember the whole of The Wharf was still being fitted out when we started rehearsals. A little known fact is that the very muscled arm that was the poster for Jonah Jonesbelonged to none other than a young STC staff member called Brett Sheehy - now Artistic Director of the MTC. Jonah Jones also gave me the chance to work again with Richard Wherrett who gave me my first job in the theatre at the age of 12 at the Nimrod Theatre at Belvoir St. Richard was a huge influence in both my professional and personal life and I miss him every day. I think probably my first and last roles are my favourites: Jonah - because there is nothing like the thrill of creating a role with the writer and composer in the room, and the way that new work can galvanise a company of performers unlike any other. And my last role at STC - Bastian in Mr. Kolpert- having heard so much about Benedict Andrews and having seen a couple of his productions I was really keen to work with him and I wasn't disappointed - it was one of the most exciting, creative and satisfying rehearsal periods and runs that I've ever had. Any memorable STC anecdotes you can share with us? 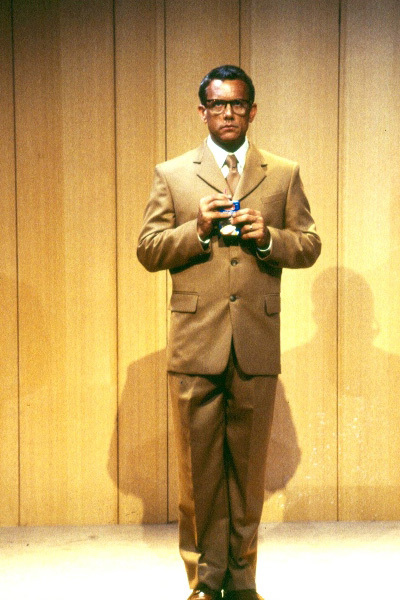 One of my favourite shows at STC was the world premiere of David Williamson's Up For Grabs, in which I played the glorious Helen Dallimore's husband Gerry. Helen was onstage all night and all the other characters would come on and off and play two- or three-hander scenes with her. It was a monster role for Helen and she did it beautifully. But one night in the first of our two very big scenes together she somehow managed to cut to the very end of the scene after I had only got one line out. I just looked at her and dutifully walked out. At interval she was mortified came to my dressing room and profusely apologised. "No problems, darling, perfectly understandable," I said. So it comes to our second scene, in Act 2, I walked on and she did it again - cut to the end of the scene again, effectively rendering me a two-line extra in that play for that audience that night. I have never laughed so much in my life. But she did have to cook me my favourite meal to make it up to me - salt and pepper squid. Back in 1999, I was in rehearsals for She Stoops to Conquerand on the weekend before tech week and previews my dad passed away. It was a very strange and difficult experience, taking that on board and switching into overdrive, planning the funeral and the wake around the craziness of tech and dress rehearsals. It's incredible the strength you find. Peter Carroll was playing my father in this production and I'll never forget how good he was to me during this time, not intrusive in any way, but so incredibly supportive. He didn't know my dad at all but I remember looking out at a sea of faces at the service at the crematorium and seeing him up the back, just quietly there for me. The best person you could ever hope to work with, he is my absolute ideal of an actor's actor. It is 11 years since you last performed at STC, and in that time you have performed many major roles on the West End including Captain Von Trapp in The Sound of Musicand Georges in La Cage aux Folles. What drew you back to The Wharf again? I only intended to be in London for a year back in 2007 when I went over to do The Sound of Music, but so many interesting opportunities kept coming up that before we knew it we'd been there five years and had bought a little apartment in Bloomsbury. I felt that it was high time to spend some time back in Sydney, and was keen to come back to STC after such a long time between drinks. I went and had a coffee with Sarah Giles and I knew in about two minutes that I wanted to work with her; we clicked instantly, I was so impressed and I knew that we'd work well together. Plus I've never done Shaw before; it's a great role, it's a brilliant cast and let's face it there are worse places in the world to come to work every day. Are you enjoying getting to know your character in Mrs. Warren's Profession, Mr. Praed? I'm loving getting to know Praddy. I think he's going to be a joy to play. It's interesting because the four men in the play are very much archetypes as opposed to the two women who are more deliberately fleshed-out by Shaw - but the character of Praed is, I think, a little less instantly recognisable to a contemporary audience than the other three men - which just makes my job all the more interesting. 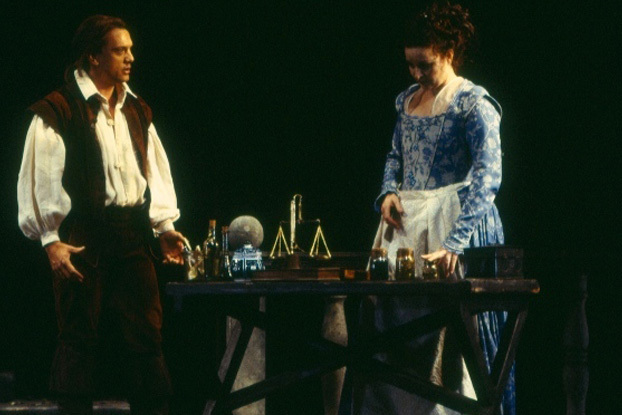 What is your favourite scene in Mrs. Warren's Profession? It's always a challenge to open a play and Lizzie Schebesta and I have quite a doozy of a first scene together. It's a wonderful scene though, that sets the world up perfectly, and our two characters' wildly different outlooks on life, and most importantly the imminent arrival of the formidable Mrs Warren. I say to Vivie: "You must have observed, Miss Warren, that people who are dissatisfied with their own bringing-up generally think that the world would be all right if everyone were to be brought up quite differently".